It’s no secret that dogs are man’s best friend. Their unconditional loyalty and genuine love render them the best companions out there. However, our canine friends can also form unbreakable bonds with one another. 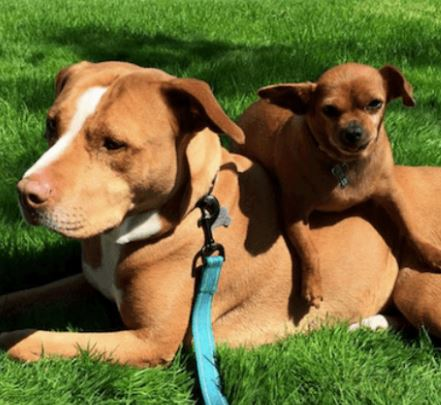 This heartwarming animal rescue story of a pit bull and Chihuahua proves just how strong that bond can grow; a bond not even humans can understand. When an animal shelter tried to find a forever home for a young pit bull, she did something that blew all the volunteers away. Read here to find out what happened when the rescuers tried to separate her from her tiny best friend. 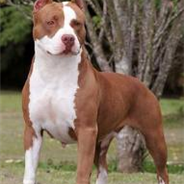 In October 2014, a female pit bull terrier called Merrill and a male Chihuahua named Taco were handed over by their owner to Rocket Dog Rescue, an animal shelter in San Francisco, California. Not much was known about why they were there, but the staff quickly noticed something special. When Rocket Dog Rescue received Merrill the pit bull and Taco the Chihuahua, the volunteers didn’t know much about their owner. The only thing they were sure about was how inseparable Merrill and her tiny best friend were and how they cried if they were separated even for just a moment. The animal rescue organization posted the sweetest picture of them on Facebook which portrayed just how unique the dogs’ bond really was. “We just could not stand the thought of them being separated or waiting at the shelter for months to find a home TOGETHER so they are coming to Rocket Dog Rescue!! !” the caption read. The veterinarians at Rocket Dog Rescue assessed Merrill’s condition because she was in bad shape. They determined that she was three years old and must have been used for breeding at least once before. She also had a really bad urinary tract infection that needed immediate attention. They assumed the pit bull’s owner gave her up because of the infection, which was life-threatening and required Merrill to undergo costly surgery to save her life. 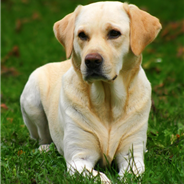 It also meant she couldn’t breed anymore; all the more reason for her owner to give her up. What happened next left the volunteers totally gobsmacked. 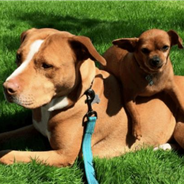 When the vets took the pit bull in for surgery, her tiny best friend Taco, who was eight years old, was extremely anxious. 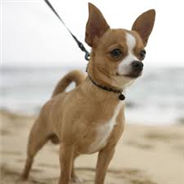 For the entire time Merrill was away from him, the Chihuahua was restless and very upset. It’s as if he knew exactly what was going on and just wanted to be by Merrill’s side. When the pit bull and Chihuahua wouldn’t stop crying for one another, the rescuers decided to let Taco into the recovery room so he could be with Merrill. His loyalty and unbelievable care for Merrill blew everyone away.how much they loved each other, so they knew they had to do something to calm them down. Taco stayed by Merrill’s side from the moment he entered the room, and as a result the volunteers started to grow concerned about just how committed this pit bull and Chihuahua were to each other. They even worried that this unbreakable bond could actually harm them in the long run. Rocket Dog Rescue has a lot of experience with animal rescue and adoption processes, so the organization grew concerned about Merrill’s and Taco’s intense bond for a very specific reason. They knew from experience that people don’t usually adopt two dogs at once. The volunteers knew that it was harder to adopt dogs who grew a strong bond, especially an older dog like Taco. They had already posted individual pictures of the dogs on their website, but no one showed much interest in adopting Taco. Then one day something happened that completely changed everyone’s perspective on the matter. Merrill was an easier dog to adopt than Taco. She was a beautiful pit bull mix and still young, so many people showed interest in her after Rocket Dog Rescue placed her picture on their website. Eventually, someone came to the animal shelter hoping to adopt a dog and provide that animal with a permanent and loving home.